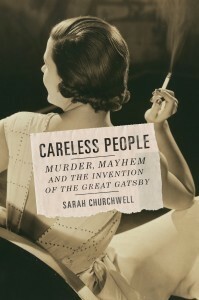 Careless People: Murder, Mayhem and the Invention of The Great Gatsby is a compelling take on Fitzgerald, Gatsby, and the roaring twenties. Working off an outline of Fitzgerald’s inspirations for the various chapters of his novel The Great Gatsby, the author parallels the plot of the book with Fitzgerald’s life and a famous unsolved crime, the Hall-Mills murder in New Brunswick, New Jersey. It may sound like trying to do a bit too much at once, but it succeeds very well. If you have any interest in Scott or Zelda Fitzgerald, the high life of the 1920s, The Great Gatsby, or unsolved crimes, you’ll want to pick this one up.